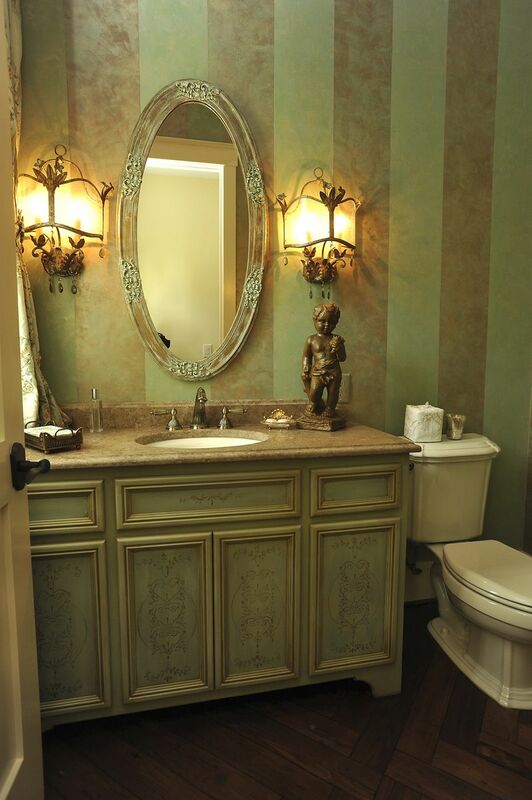 Powder Room vanity cabinet with flat panel doors and drawer fronts. Fabricated with paint grade materials on the exterior with finished Birch interiors. Custom finish done by local artists at Transformation Studios.